This island is a perfect destination for a fun packed and relaxing vacation. It has something for everyone – right from adventure sports to relaxing beaches to mesmerizing temples. Formerly known as Ceylon, Sri Lanka is located in the majestic Indian Ocean. It has become a popular tourist country owing to the dynamic and versatile nature of the activities and experiences it has to offer. The best part about spending your holidays here is that the island is small and one can get all kinds of activities and tourist options without spending a lot of time on travelling from one place to another. One can easily find accommodation in Sri Lanka that suit all kinds of travellers. This small island presents you diversity of scenic places to visit. This pearl shaped island also offers you an array of geographical landscapes diverse in natures. It has exalting tropical beaches, exciting dense forests, rocky coves and a number of serene water bodies. The beach resorts in Sri Lanka are perfect for all – whether you are travelling alone, with family or on your honeymoon. One of the beach resorts in Sri Lanka which offers exciting honeymoon packages is Vivanta by Taj – Bentota. Sri Lanka is a multi cultural country owing to the presence of the various ethnic and religious groups that co- exist here. Learn more about the local culture by spending time with the local people. The warm and loving nature of the Sri Lankans will melt you heart away. They are a hospitable community who take very good care of their guests. Sri Lanka is home to some wonderful architectural, archaeological and historical marvels. There are six such spots that are recognized as World Heritage Sites by UNESCO. Catch a glimpse of the history of this island by visiting the forts, museums and streets that have impeccable architectural structures. Sri Lanka provides you various options for shopping. The island is a major garment exporter and one can find a variety of shops and brands that sell stylish apparels. 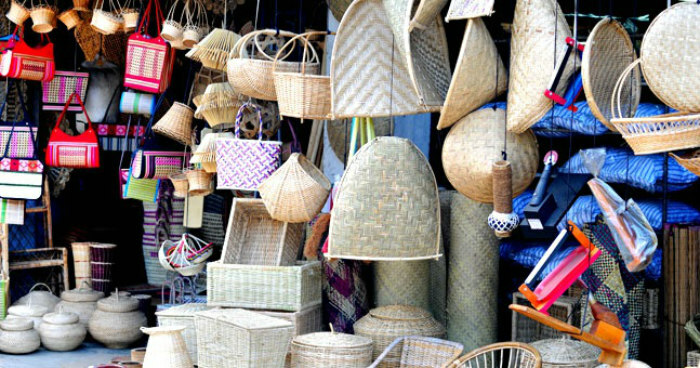 Apart from clothes one can also find locally made handicraft material to bring home as a memory. Sri Lanka is a nature lover’s paradise as it offers you a plethora of activities and experiences that will make you fall in love with the flora and fauna of the island. With 14 national parks, rainforest of Sinharaja and opportunities for whale watching, this island can never disappoint you with its diversity. Rejuvenate your mind and body with holistic Ayurvedic treatments. Bid goodbye to your tired and weary bodies with a revitalizing spa in Sri Lanka. There are a variety of spa treatments and Ayurvedic body massages and baths for relaxing and healing you bodies and minds. Many honeymoon hotels in Sri Lanka offer couple massages and spa treatments within their compounds itself. Along with the scenic spots, mouth-watering food and Ayurveda, Sri Lanka also brings a plethora of adventure sports to the table making it a dynamic destination. Feel the adrenaline rush as you perform these adventure activities along the beautiful coasts. Some of the adventure sports to try out here are wind-surfing, water-skiing, surfing, sailing, scuba-diving (including wreck-diving), snorkeling, rafting, hiking and trekking. Thanks to the different types of vegetables, fruits, spices and rice being cultivated here, Sri Lanka offers a delightful cuisine. Treat your taste buds with a variety of sumptuous Sri Lankan curries eaten with the staple rice. 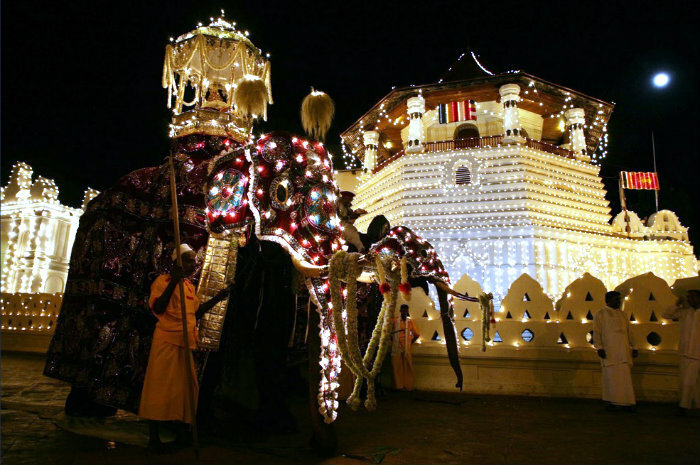 Sri Lanka’s population follows a number of religions that has lead to the country celebrating one or other festival throughout the year. These festivals are celebrated ardently in unity and with pomp. Participate in some of these festivities while you are there to make it a memorable trip. Accommodation in Sri Lanka is easy to find as it is laden with a number of hotels. Right from budget hotels to magnificently luxurious hotels, the island offers you a variety of options to choose from. It also has colonial style hotels and cottages that are perfect for a romantic vacation. Bonus: Visa can be obtained online! Compare to majority of the countries, where you have to visit the local embassy to get the visa stickers on your passport, Sri Lanka Immigration has instroduced the Electronic Travel Authorization system (so called ETA) since 2012. Travelers can obtain the visa to Sri Lanka online. It is linked to your passport electronically. Upon arrival, you just need to show your passport to the Immigration officer. ETA is usually valid for 6 months with 2 entries; for each entry, travelers can stay in the country for 30 days. For more information, please read here srilankavisa.org. The mount is feel like at Puncak Bogor, Very amazing. Sri Lanka is really very beautiful place to visit. Anyone will be more delighted to come here. Sri lanka very beautiful place to visit as i felt from this article.Though i never visited it but will go someday and try out everything that you said above. Srilanka a beautiful destination as truly briefed Nature, culture , festivals and food all are amazing. Cost wise also the destination is affordable. Sri Lanka is really a beautiful county also known as “Pearl of the Indian Ocean”. Must visit Temple of the tooth as it treasuring a tooth of Gautham Buddha. Sri Lanka is really beautiful. I’m glad that you shared this. I bet the ambiance there is very smooth. I love to visit their beautiful temples too. Would love to try Sri Lankan food! Thank you love to try Sri Lankan food! Thanks for sharing this post. Sri lanka is one of the popular tourist countries, and it is formerly known as Ceylon. I haven’t visited Sri Lanka yet, but after reading your blog, I am quite interested in visiting Sri Lanka soon. Sri Lanka is one of the popular countries. and this is very good images thanks for sharing this post.